Painting the interior of your home is more than a to-do item on your home’s maintenance checklist. A fresh coat of paint can breathe new life into the walls of your home and help keep it looking fresh. There are many factors to consider when deciding if it is time to paint your walls. While modern paints are built to last between five to 10 years, that timeline may not work for you—or every room in your home. Take into consideration wear and tear, the function of each room, the finish of the paint, and whether it is time for a color change. Let’s walk through each room of your home to review the professionals’ recommendations for paint type and suggested painting timelines. These rooms are often used the most frequently, therefore can be the most dirt. Typically, kitchens and bathrooms are painted in the most durable, washable finishes that can handle the room’s activities. 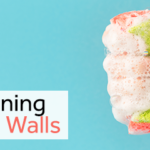 Paints with gloss and semi-gloss finishes tend to withstand scrubbing off food splatters, bath time messes, and anything else that happens in these busy rooms. And since moisture can also take its toll, pay close attention to the effects it can have on your painted surfaces. All this considered, professionals suggest a fresh coat of paint in your kitchen and bathrooms every three to four years. Next up on the list of potentially most-worn walls in the home are your hallways. Everyone passes through them leaving trails of dirt, grime, scuff marks, and dents. As with kitchens and bathrooms, it is recommended you use a paint finish that can endure some scrubbing on your hallways. A gloss to satin finish will do the trick. Professional painters recommend that homeowners paint these areas every two to three years. Even though these may be some of your most-used rooms, the kind of living that happens in your living and dining rooms is generally not as active as, say, a kitchen. Yes, furniture dings may occur, as well as food messes here and there. In most cases, an eggshell finish should be fine, due to the general low-traffic nature of the room. Now your preference in paint color may change before it wears out, but the lifespan of the paint on your living and dining room walls should last for five to seven years. The professionals are most likely to use a flat or matte finish paint in an adult bedroom because they are generally low-traffic areas. 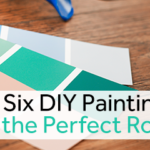 Style change is most likely to dictate when to apply a new coat of paint, but if you’re good with your bedroom paint colors, you should be able to wait five to ten years before you need to repaint. The kids’ bedrooms are a completely different story than the grown-ups’ bedroom. Often doubling as playrooms, kids’ rooms are subject to getting dinged up, colored on, and lots of other wear and tear. An eggshell or satin paint in children’s rooms will give you the durable finish you need to keep it clean. 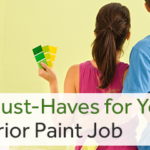 You will still likely want to refresh the coat of paint every two to three years. While these are general recommendations, there are other factors to consider when deciding when it is time to repaint and how long your paint will last on your interior walls. A quality paint job starts with proper preparation and a good base of primer. If your walls are prepared and primed properly, the paint should last longer than if these steps were either missed or not done correctly. The preparation of the painting surface is often what separates the professionals from the amateurs. A professional paint job will look better and last longer because of the painstaking prep work that goes into it. Paint is an easy and cost-effective way to update the style of your home. A fresh coat of paint can make dingy walls come back to life. 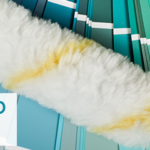 A new color can transform a home from dated to on-trend in a short amount of time. 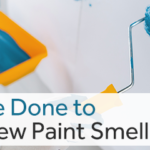 Whether or not your surface needs to be repainted due to wear and tear, you may decide to apply a new coat of paint to change the look by trying a hot new color or painting technique. If you are considering painting the walls in one or more of the rooms in your home, there is no need to take this task on by yourself. Consult the professionals at the Atlanta Painting Company. Our team of experts will do everything from moving the furniture, taping, and painting to give your home a fresh, modern new look. Fill out this online form for a FREE in-home quote.